IELTS: - 6.5 band overall with no band below 5.5 in each section for all Diploma and Certificate Programs. 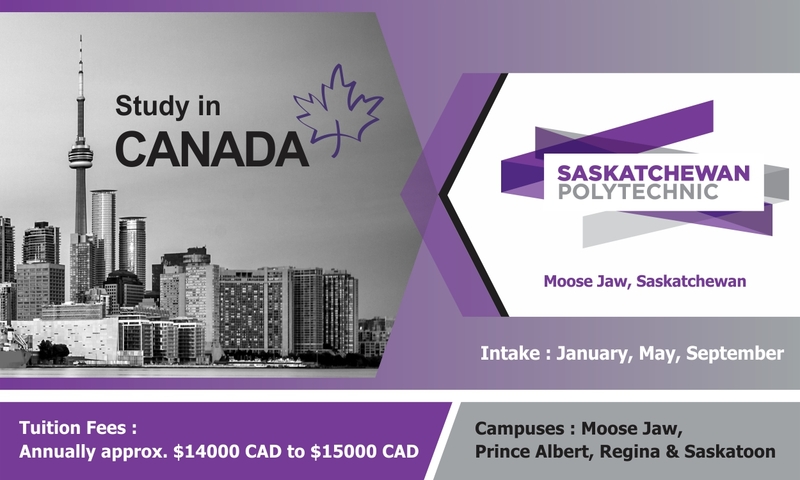 Saskatchewan Polytechnic now accepts the Pearson Test of English Academic (PTEA) as an option to meet our English Language Proficiency (ELP) requirement. Candidates using PTEA must score a minimum of 63 overall with minimum component scores of 50. Candidates are expected to have IELTS Overall 6.5 bands with no less 6.0 bands with 5.5 in one module accepted module. Tuition Fees Range : $ 16,500 CAD Approx.